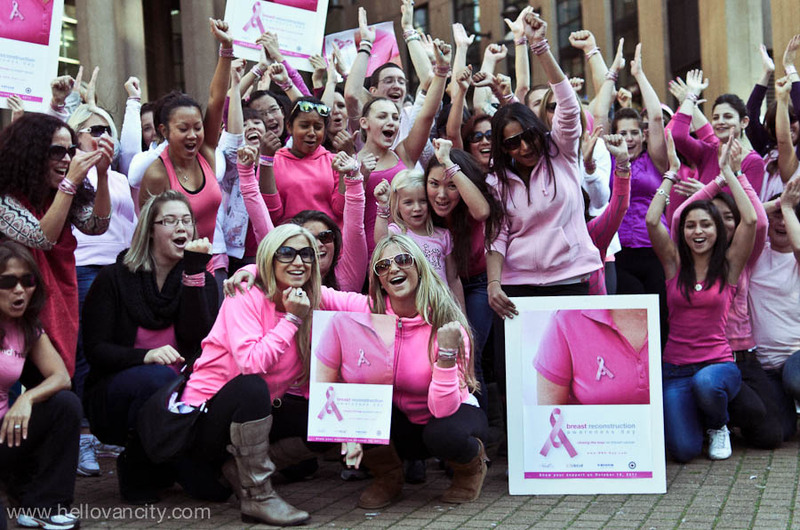 National Breast Reconstruction Awareness Day Flash Mob at Library Square, Vancouver Public Library Central Branch on October 15, 2011. 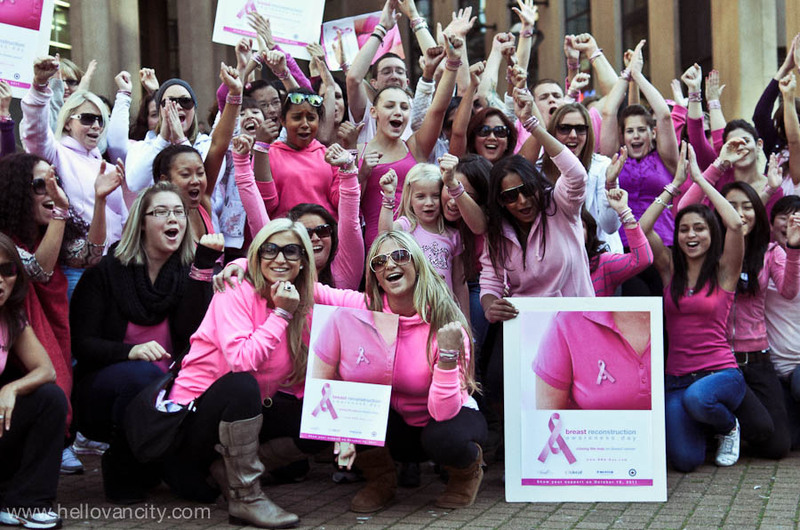 October is Breast Cancer Month and October 19th is the first National Breast Reconstruction Awareness Day. 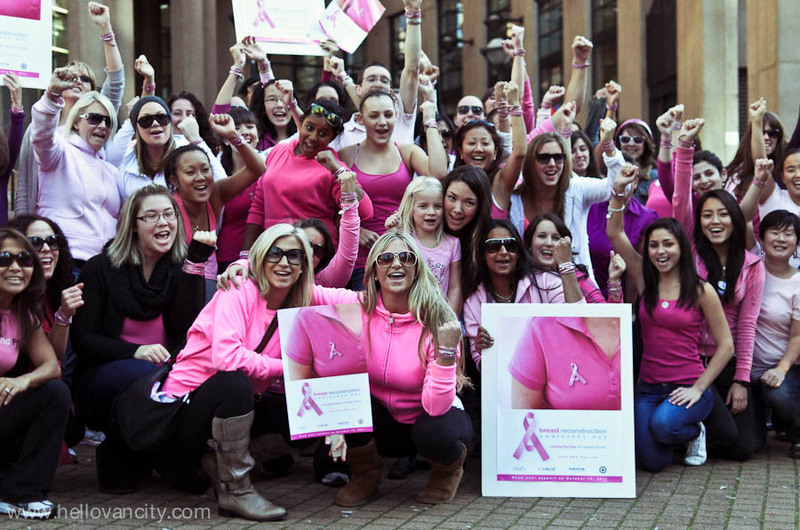 Breast Reconstruction Awareness Day is an initiative designed to promote education, awareness and access for women who may wish to consider post-mastectomy breast reconstruction. 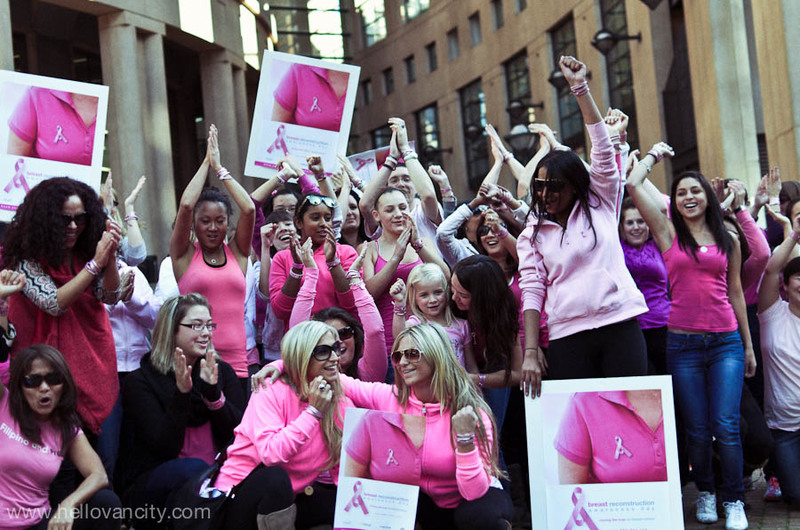 It is a collaborative effort that includes plastic surgeons specializing in breast surgery, plastic surgery nurse specialists, the Canadian Breast Cancer Foundation, Canadian Society of Plastic Surgeons, medical device industry representatives and breast cancer support groups.